Gazing across the dry plains, mountains and blue sky, I notice the echoes of barking dogs have stopped for a moment. Verses of love being the greatest gift are swimming though my mind, and I turn to the One I fully trust seeking direction for my day. 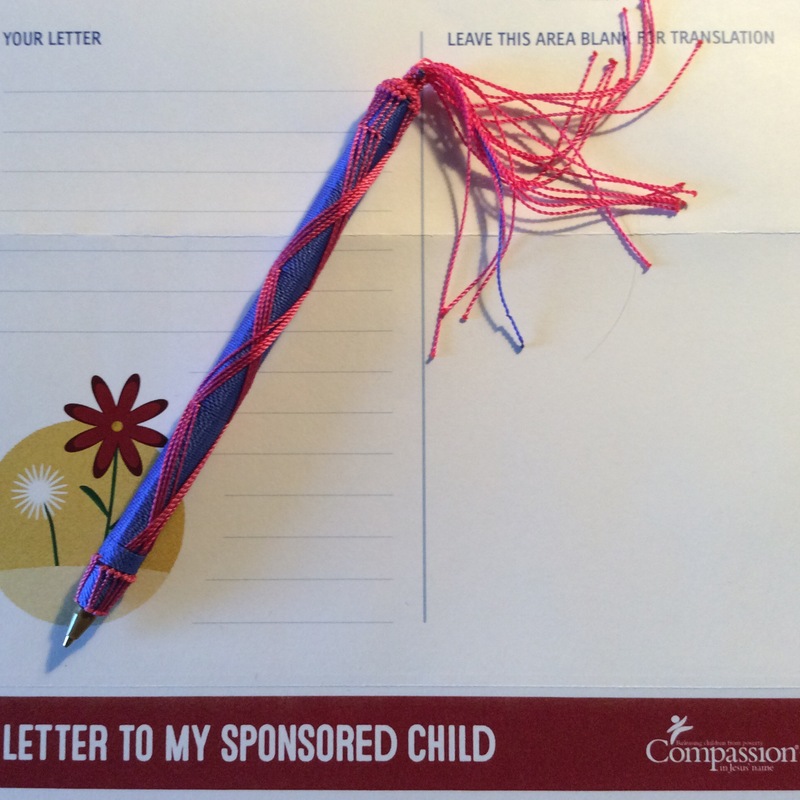 The word “compassion” drops into my being and I know there must be a letter waiting for my eyes’ attention from one of my sponsored kids. Many long weeks turning to months have passed with no word from any of them. I had recently checked each binder tucked away in the lower desk cabinet holding all the words that have traveled across lands and seas. How long has it been? I write to them again. Are they doing ok? Did they receive my words of hope? I wait. But today! I know a word has come. With expectation and a simple soft tap on the screen, the Compassion app opens and each sponsored child’s face pops into view. Less than a moment later, that green bar announcing arrival of a new letter ready to be read appears above one face, and then another! TWO letters! It is a good day! My Rwandan appears first. That sweet, shy-looking child with just a hint of mischievousness in her eyes. I do not yet know her well, but then again, I do. Her letters are brief, and to-the-point, lacking in much detail, but I feel her exuberance and sense her high-spirited energy. She tells me school is going well, and she is proud to have placed fourth highest on her third grade exams. Watch-out, you fourth-graders, she is looking to move up in rank! She thanks me for sending her letters, and that is it. The final sentence is the same as the previous ones: she wants to see me “face to face.” A smile forms across my face, and I wonder how long it will be before I find myself in Rwanda. Now for my Nicaraguan of 13 años. His words are coming more frequently, and amazingly, his heart and mind seem strong. With both parents alive, but absent, he was being raised by his grandmother. Lacking any details, I pray for this handsome and smart one, wondering what life must be like: the rejection, abandonment, and living conditions. I pray for him as well as his abuelita. I am thankful for her love, strength, determination and courage. He last shared that he would soon be going to live with his mother, new step-father, and siblings. My mind raced about the multitude of possibilities and difficulties of this, and again I prayed. Will this new man treat him well? How long since he has seen his siblings? Will his acceptance into a new school and ring of friends be easy or difficult? I write and I pray. Opening his letter, the first thing I notice is his handwriting; so neat and polished; beautiful spacing and form. He is an artist. Form matters. The heart and mind of this child is like a wise sponge. There is caution, there is a lack of desire to engage in frivolity, but everything of value is absorbed and remembered. I first scan down the page, picking up familiar Spanish words, hoping to be a bit more fluent for the arrival of the next letter. He seems happy and content. Anticipation flowing through my veins, I swipe across the screen for the translated page to see if my interpretation is correct. It is true. His words express respect and love toward me, and joy at being home with his mother – a whole year already! He shares with me details about his siblings – a rarity among all the sponsored children. His new teacher he describes as kind and motivating, and there is delight over the making of new friends. Praise God, he is thriving. So my plans for this bright sunny day are set. A minimum of two letters to scribe, maybe more. Love, joy and encouragement need to be shared to exist in fullness – for hearts and lives to be tangibly transformed.